At this festival we will explore how we respond to the negative impact we have had on our planet and what our responsibilities are regarding recreating what we have lost. The festival starts at 9:00am on Friday 3rd May 2019 and finishes late evening on Sunday 5th May 2019. Registration opens 1st March 2019. Registration closes 15th March 2019. We advise that you have your group confirmed and all information collected prior to 1st March 2019. All schools will need to arrive at the Eden Project by evening on Thursday 2nd May 2019 and may leave Monday morning 6th May 2019 (leaving hostels after breakfast). Please arrange international travel accordingly. ISTA artists will need to arrive on Wednesday 1st May 2019 in time for an evening meal and should plan on leaving the Eden Project Monday morning. Please arrange flights accordingly. 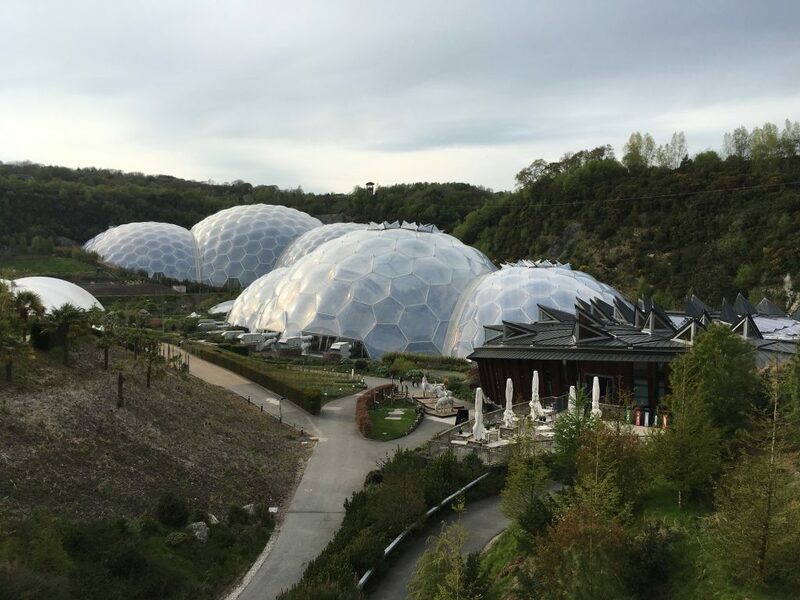 The ISTA Rep will arrive into Cornwall by Tuesday evening 30th April 2019 to spend Wednesday at the Eden Project on pre-planning. Artist travel information is required by 15th March 2019. GBP £20 Newquay airport/St Austell train station transfers. GBP £192 accommodation and all meals (shared rooms for four nights). GBP £97 – visiting non-member registration fee. GBP £240 accommodation and all meals (single rooms for four nights). All participants will fly into Cornwall’s Newquay airport or will travel from London Paddington to St Austell by train. The journey time to YHA Eden and YHA Boswinger is approximately 50 minutes from the airport and 15-25 minutes from the train station. Artists are also responsible for ensuring they have the necessary visa to enter the United Kingdom. ISTA artists will collected by a representative from Summer Court Travel and taken to the hotel by private taxi. Similar transport will be provided at the end of the festival. There is free Wi-Fi at both hostels. The journey from the YHA Eden to the Eden Project is approximately 5 minutes by land train and from YHA Boswinger is 30 minutes by private bus. Single rooms will be booked for visiting teachers and chaperones for the nights of the 2nd, 3rd, 4th and 5th May 2018 at one of the designated hostels. Students will stay in shared rooms at one of the designated hostel. Where possible students will be placed in rooms with peers from their own school. Single rooms will be booked for ISTA artists for the nights of the 1st, 2nd, 3rd, 4th and 5th May 2019 at the Porth Avallen Hotel near St Austell. An additional night will be booked for the Rep who will arrive on the 30th April 2019. Breakfast- provided on Friday, Saturday and Sunday plus a packed breakfast provided for Monday after the festival. Lunches- three lunches provided Friday, Saturday and Sunday. Dinner- provided Friday, Saturday and Sunday plus an evening meal on Thursday 2nd of May for schools that arrive on time. All meals will be provided. Finishes on Sunday 05 May at 17:00 .